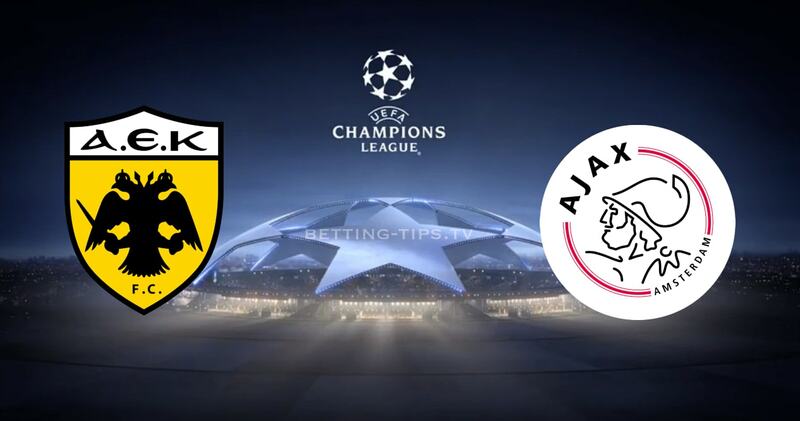 AEK Athens vs Ajax is a Champions League duel, with the first whistle scheduled at 19:55, to be disputed in Greece at the Olympic Stadium “Spyros Louis”. AEK Athens is the outsider of Group E, being the weakest team, which will most likely finish the last one, with the chances of winning a place in the spring of Europe. Marinos Ouzounidis’s team did not get any points in this Champions League edition, losing all four games so far, scoring only two goals, winning not less than ten. The hosts of this game are going through a very poor period, coming after a series of four games without success, starting with a draw with Panathinaikos, followed by three consecutive defeats, losing to Bayern, Atromitos and Panetolikos. Ajax is one of the top teams in Dutch football, and a team with championship football championships in the Champions League, which this season is very close to advancing to the optimum stage. The Dutch occupy the second place in the group, under Bayern Munchen, being two points behind, but over Benfica, at a distance of four lengths. In the four games so far, the team coached by Erik ten Hag managed two wins and two draws, matches in which scored six goals, receiving only two. Ajax goes through a fantastic period, coming after an incredible 12-game series without a defeat, with no fewer than ten wins. The difference in value between the two is clear, Ajax having a much better batch, also going through a better period, so in this game he should get the three points and hence the qualification in eights.